The Colt 1911 .45 ACP is an American legend, one of the greatest combat handguns ever produced. Ammunition that is designated + P, is ammunition that has been loaded to a higher pressure, which will result in a higher velocity round. 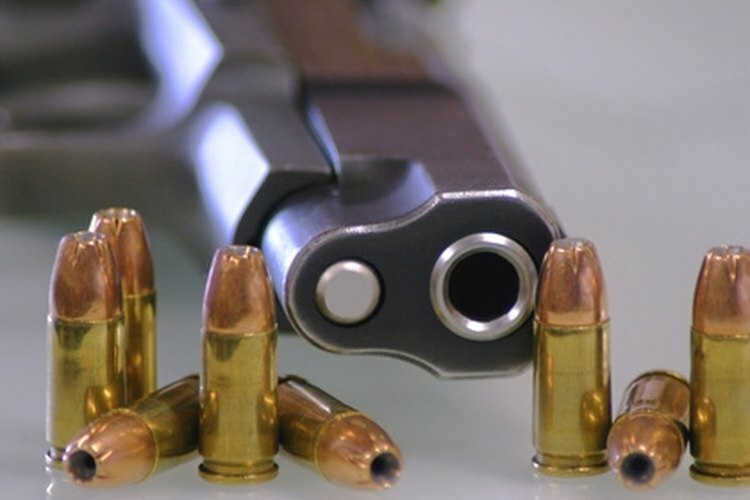 Shooting + P ammunition requires some getting used to, as it will result in a harder recoil. Set up your target at the desired distance, checking to make sure that you have a safe backstop. Put on eye and ear protection. Load a magazine with standard .45 ACP ammo, and a second one with the .45 ACP + P rounds. Make sure to keep the magazines separate; identify them so that you know which magazine holds which type of of ammunition. Load a pistol with the standard ammo, take a stance and fire at the target. Make sure the firing area is clear, then replace the target with a new one. Load the magazine with the + P rounds into the pistol. Once you take your stance make sure that you have a firm grip on the pistol, the higher pressure of the + P rounds will result in a harder recoil. Fire the + P rounds at the target. You will be able to feel the difference in the loads. If necessary tighten your grip for better shots. Firing + P loads will take some getting used to, so take time between magazines. Always assume your weapon is loaded. Never point your weapon until you are ready to shoot. Keep you finger on the trigger guard until you are ready to fire. Check with the manufacturer of your weapon to make sure it is capable of handling the pressure of +P loads, some older handguns may not be able to do so. + P Ammunition, What is it and why use it? Andy McVeigh lives in Scottsdale, Arizona. He is an avid outdoors enthusiast who enjoys paddling, biking, hiking, backpacking, camping, scuba diving and photography. McVeigh is a graduate of Northern Arizona University and is currently working on his MBA. What Is a .410 Shotgun?